Tonight’s show at Pratteln’s Z7 venue was almost in dire straits with Alcest’s tour bus breaking down two hours away and the band needing to head over in a taxi minus most of their required equipment. Using the venue’s own backline isn’t the greatest of starts for the French post-black metallers, but despite sound initial sound problems (one guitar is much too loud, the drums are overpowering), the quartet soon settle in and the rhythms of their beautiful take on black metal soon take over. “Kodama” from last year’s stunning Kodama should be a wonderful start, however the overwhelming volume on Zero’s guitar drowns out some of the textures that make it such a lovely song and it’s not until “Là où naissent les couleurs nouvelles” that Alcest come to life. “Oiseaux de proie” is deliriously aggressive and following it is the majestic sounds of “Eclosion” and the opportunity to hear frontman Neige’s incredible screams. 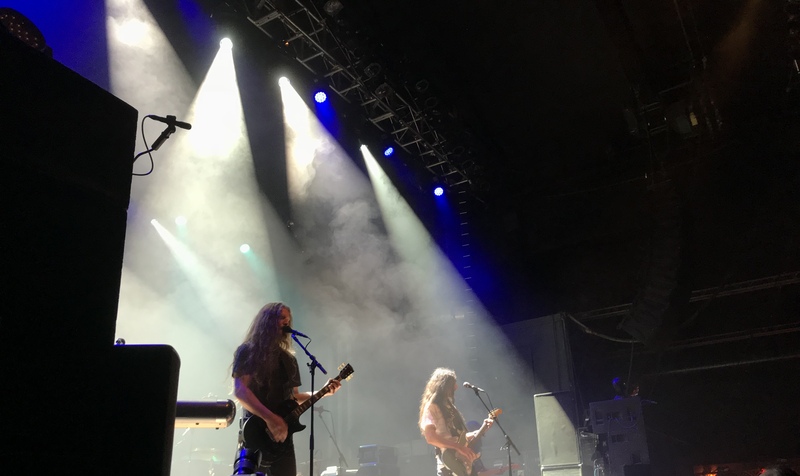 His voice swings from gorgeous, ethereal notes to powerful cries in naught but a second and it’s in this opposition that Alcest have found their niche. 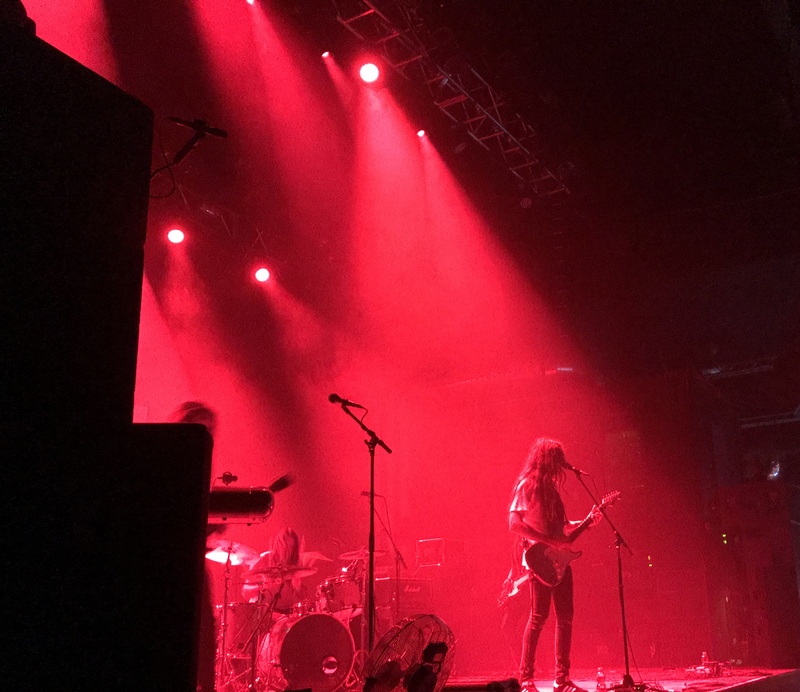 Pacing their hour long set perfectly and incorporating the light and shade of their sound allows Alcest to show their awareness of what their audience wants and although the venue isn’t completely packed and a lot of the crowd leans towards the older end of the age scale, they are still given a rapturous welcome. An hour goes by much too quickly, though, and it’s a shame they have to leave. The warmth of “Délivrance” does much to dull the pain. 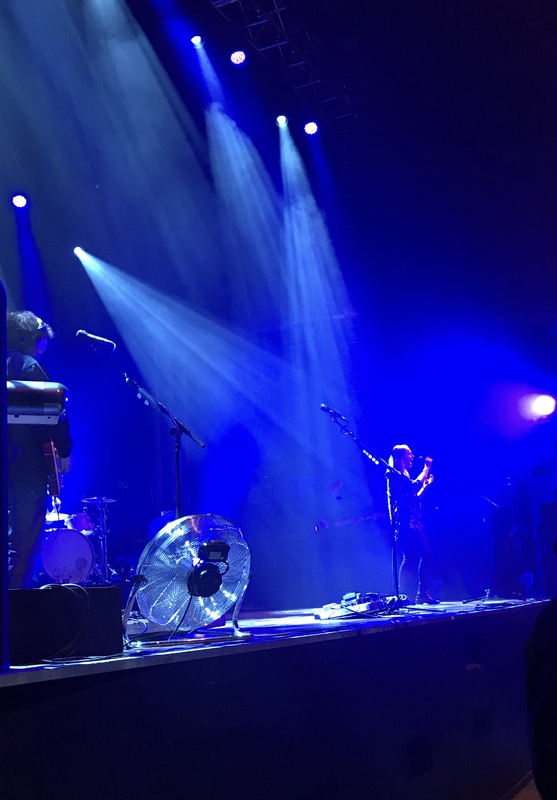 Anathema’s history is long and varied and where the band began as a heavy, doom-death project, the latter part of their career has tended towards the more progressive side of their sound. Gorgeous textures, the Cavanagh brothers’ beautiful voices and words, and songs that are packed full of emotion before even the first notes have chance to fade have given Anathema a second wind of late and two hours tonight is almost enough to incorporate the songs you want to hear. It’s tricky to pull off such a long performance and it’s unfortunately not the kind of perfection that this writer has come to expect. The biggest problem facing Anathema tonight is pacing. Songs that are too similar sit together and meld into one leaving many people with wandering attention spans in the final hour. However, they sure know how to put on a show and small niggles aside, it’s still a night to remember. The two parter “Untouchable” begins their time and showcases the vocal prowess of Vincent Cavanagh and Lee Douglas, whose voice is so beautifully clear that when she takes to the stage alone to sing “Endless Ways” the audience’s reverence is obvious. One of the biggest emotional punches comes when Danny Cavanagh addresses the crowd, calling on people at the barrier to tell him where they’ve come from. A few women shout that they’re from Syria and the hall falls quiet. “This is the first happy day in our lives.” The awe is palpable for these people, for everything they’ve experienced and everything they must overcome. Danny sings “Are You There?” for them and it’s a moment that resonates throughout the crowd, not least for those the song is dedicated to. Unfortunately, it’s during the encore that the pace slows to almost a standstill; Anathema have plenty of songs that could do justice to their allocated time but the energy falls steeply during the three headed portion of “Distant Satellites,” “Springfield” and “Back to the Start,” however, the band end on high note and “Fragile Dreams” does much to ensure that the crowd know that actually, Anathema are a thrilling band to experience. Perhaps it was just an off night on a long, gruelling tour. Still, it won’t stop anyone wanting to see them again, this writer included.